If you’re looking for apparel or home furnishings from name brands at competitive prices, Stein Mart can provide you with items from Calvin Klein, Tory Burch and others, as well as value brands that can save you money compared to high-end department stores like Saks and Neiman Marcus. Stein Mart is a discount retailer popular in the South with locations in 30 states where customers can find styles from designer brands at often steep discounts. Don’t worry if there isn’t a Stein Mart in your state — they have a robust website where you can shop around for whatever you’re looking to buy. Like its retail counterparts, Stein Mart offers four credit cards for consumers, two store cards — the Stein Mart® Style Credit Card and the Stein Mart® Elite Credit Card — and two Mastercards — the Stein Mart® Style Platinum Mastercard and the Stein Mart® Elite Platinum Mastercard. The cards are fairly similar, but have one main distinction, being labeled as either a “Style” or “Elite” card. As the name implies, the Stein Mart® Elite Credit Card and Stein Mart® Elite Platinum Mastercard versions of the “Elite” cards come with more perks, such as higher rewards rates and free shipping on Steinmart.com. To receive an “Elite” card, you need to spend $500 at Stein Mart each calendar year before you are allowed to upgrade from the initial “Style” version of the card. That may initially seem like a lot, but if you consider everyday purchases on the Mastercard version, and shopping around the holidays and for special occasions on either “Style” card, you may easily hit that $500 annual spend. However, that doesn’t mean the cards are your best choice for department store discounts. Most store cards are laden with high APRs and mediocre rewards, and unfortunately the Stein Mart® credit cards are no different with a 28.99% variable APR. In this review, we’ll compare the various Stein Mart® credit cards and provide better alternatives for your department store shopping so you can maximize your benefits. Depending on which Stein Mart® credit card you have, you’ll earn a different amount of points on purchases you make at the store and elsewhere. Take note that the store cards, Stein Mart® Style Credit Card and Stein Mart® Elite Credit Card, can only be used at Stein Mart and cannot be used outside of the store, whereas the co-branded Mastercard versions of the card can be used anywhere where cards are accepted. Rewards certificates can only be used in-store at Stein Mart, not online. They must be used when you pay with your Stein Mart® credit card. So, you’d be out of luck with redeeming rewards certificates if you don’t live in one of the 30 states with a Stein Mart store (or live far from a location), and if you want to pay with cash or a different credit card. This is a big drawback of Stein Mart’s rewards program and something to beware of prior to opening a card. Looking at the table above, if you have a “Style” card, you earn half as many points as “Elite” cards on Stein Mart spending. That means you’d need to spend twice as much to earn a rewards certificate. With a “Style” card, you’d need to spend $1,000 at Stein Mart or anywhere Mastercard is accepted (if you have the Stein Mart® Style Platinum Mastercard) to earn a $10 rewards certificate. However, if you spend at least $500 at Stein Mart within one calendar year, you can be upgraded to the “Elite” version of the card, which allows you to benefit from the higher rewards rate. If you’re not a frequent Stein Mart shopper and spend less than $500 a year at the store, it doesn’t really make sense to open a card since you only receive rewards after hitting increments of 1,000 points. For example, if you spend $400 a year at Stein Mart, you won’t earn a rewards certificate. That’s compared to other rewards cards that either allow you to redeem rewards at any amount or at much lower redemption amounts of $25. If you had a flat-rate cashback card that earns 2% on all spending and you spent $400 at Stein Mart, you’d earn $8 in cash back. With the Stein Mart® Style Credit Card or the Stein Mart® Style Platinum Mastercard, you would accrue points, but be unable to earn a rewards certificate. Flat-rate cashback credit cards are a good alternative to a Stein Mart-specific credit card since you can earn a consistent rewards rate on all purchases — regardless if you’re spending at Stein Mart or elsewhere. The Citi® Double Cash Card – 18 month BT offer is our favorite flat-rate cash back card since there’s a $0* annual fee and cardholders earn 2% cash back on purchases: 1% when you buy plus 1% as you pay. Using this card, you also have more redemption options compared the a Stein Mart card. You can redeem cash back as a statement credit, gift card, or direct deposit. In comparison, rewards earned from a Stein Mart® credit card can only be redeemed in-store at Stein Mart. 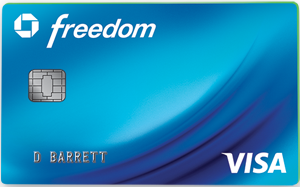 An additional perk provided by the Citi® Double Cash Card – 18 month BT offer is Citi® Price Rewind. With this feature, you can register eligible purchases on the Citi® Price Rewind site and Citi will search for a lower price within 60 days from account opening. If a lower price is found, you may be reimbursed for the difference between the price you paid and the lower price. A cashback card that offers 5% cash back on select rotating categories each quarter can be a good alternative to a Stein Mart® credit card since department stores are often included for three months a year. The Chase Freedom® had department stores as a bonus category from October to December 2018. During these months, you can earn 5% cash back on department store purchases — including Stein Mart — but beware there’s a $1,500 quarterly spending maximum. Once you spend $1,500 in a quarter, the cashback rate you earn on department stores lowers from 5% to 1%. Nonetheless, this card can be a good way to maximize cash back throughout the year. Ultimately, a Stein Mart® credit card offers a mediocre rewards program and standard store-specific perks that aren’t really worthwhile unless you’re an avid shopper at the store. And even then, the free Steinmart.com shipping, sales days and other benefits are just OK compared to other general-purpose cards. You can do better with one of the alternative cards mentioned above that have more flexible rewards programs and robust card benefits that may include free shipping via ShopRunner and special discounts at select retailers.